Last Friday it was confirmed by investment firm Noor Capital, who operate out of Abu Dhabi, that they had bought three tonnes of gold from Venezuela, and rumour has it that Maduro plans to sell a further 15 tonnes – with assistance from Russian airline Nordwind, according to MP José Guerra – to try and counteract the US sanctions implemented on Monday January 28. 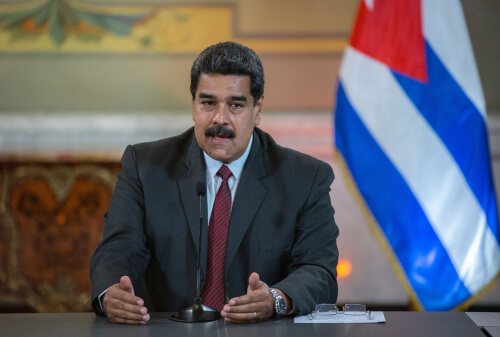 The United States announced that it would apply sanctions against Venezuela’s state-owned oil company Petróleos de Venezuela, S.A (PDVSA) in order to pressure President Maduro into resignation or into holding a new, democratic general election. The sale of the country’s gold is now being used for import of necessity goods, which are then sold on at a subsidised price. So far the Venezuelan government is refusing foreign aid from the likes of Canada. Official figures show that the Venezuelan central bank reserves (held in Caracas and with the Bank of England) were 150 tonnes as of January 2018, but by November this figure was down to 132 tonnes. Perhaps the largest buyer of Venezuela’s gold has been Turkey. $900 million worth of unrefined gold (23.6 tonnes approximately) was sold to the middle-eastern nation in 2018. President Maduro has visited Turkey four times since 2016, and President Erdogan of Turkey visited Venezuela last year – the first ever visit from a Turkish leader to the South American country. There are also reports that Tareck El Aissami, Venezuela’s Industry Minister, was in Corum (near Ankara) to inspect a Turkish gold refinery in December last year. The fear is that Turkey is selling the gold on to nearby Iran – another nation like Venezuela that is under US sanctions – but there’s no evidence currently of the gold being exported after refining. The majority of the country’s gold is located in the south-east, with the country boasting the fourth largest gold mine in the world. Despite this, Venezuela was only ranked 27th for gold output in the world in 2017, with 2018’s full figures yet to be released. One of the upsides for Venezuela has been relatively consistent gold mining output, having hit 24.9 tonnes in 2010, then 25.5, 21.0, 22.8, 22.7, 22.6, 23.0 and 23.0 tonnes respectively in the years up to and including 2017. The Venezuelan government has been accused of poor management of the gold mining industry however, with opposition MPs suggesting that the mines are improper; excessively pollutive, unsustainable, and unsafe for workers, with allegations of organised crime syndicates involved in taking cuts from the output at major mines. As we reported back in November, the Bank of England currently holds £420 million worth of Venezuela’s gold reserves. These reserves were requested earlier last year but the BoE has stalled, citing a range of concerns. The president of the country’s central bank, Calixto Ortega, met with officials in December about repatriation of the gold, but to no avail. Venezuela has relied on the profits of its oil industry more than the benefits of its gold, but gold is all it has left now that the price of oil is lower. Far greater levels of US oil production, designed as a move away from middle-east dependency, have pushed the price of Brent crude and other oils down sharply. This has hurt Venezuela in particular, but that’s only part of the problem. Closer to home and Venezuela has the problem that it cannot refine its own oil. The country has high sulphur content deep underground. 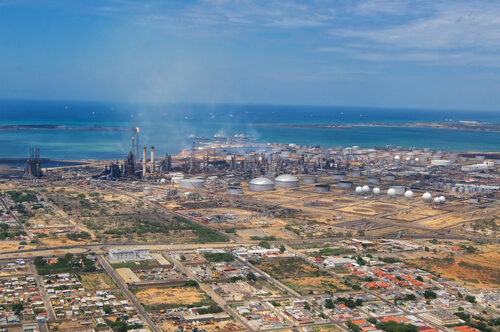 The refineries responsible for purifying the oil have been badly maintained, meaning Venezuela has had to export its oil to the USA, only for it to be shipped back once refined. This process is slow, costly, and now with the new sanctions it can no longer go to the state’s own oil company. The embattled leader of the United Socialist Party of Venezuela (PSUV) has been dealing with rampant hyperinflation since 2010 - before the death of Hugo Chávez and Maduro’s succession. Venezuela has for a long time lived off its oil profits to compensate for shortages in food production and other goods, but with the increased oil production in the United States, the oil price has fallen sharply in the past year, resulting in hyperinflation in Venezuela which reached 800% last year. Hugo Chávez came to power in the late 1990s and during this process he restricted the country’s parliamentary capacity. The intention was well-meaning; Chávez wanted to implement his new socialist policies and swiftly address the rich/poor divide within the country. The problem is that as time went by, the decision making resting solely on Chávez and key ministers left the government with little transparency or accountability, and as government actions went badly this inspired unrest. 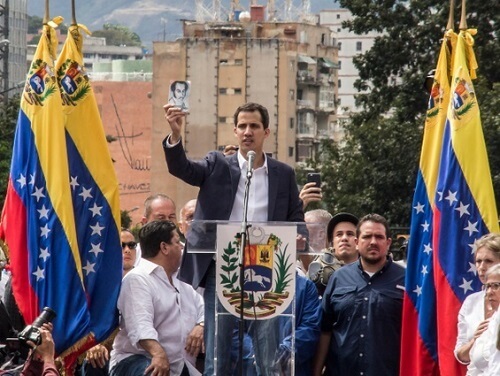 The centrist opposition party VP – Popular Will – are led by Juan Guaidó and have been subject to strong clashes with Maduro’s government since protests escalated in 2014. As Venezuela’s situation has worsened, so Guaidó’s support has grown. The opposition won control of the national assembly in May 2016, but since then the government has tried to circumvent their political presence, culminating in the recent attempt to supplant Maduro as President. Many senior members of VP have been arrested for charges including arson, damage to public property, instigating crimes, and associating with organised crime, though supporters claim there is no evidence for these accusations. Maduro’s government has criticised western leaders of hypocrisy, arguing that they are labelled undemocratic for jailing opposition officials and leaders but in Brazil, where Jair Bolsonaro was recently elected President, his main rival – former president Lula da Silva – remained jailed for alleged corruption, despite an appeal ruling in his favour. While President Maduro has overseen continued economic failings since his inauguration in 2013, the Venezuelan leader may not be entirely to blame. The country’s friendship with the likes of Russia, China, Cuba, Turkey, and even smaller nations like Nicaragua have earned it the ire of the United States. In political terms, Venezuela’s socialism is seen as a stepping stone to Cuba’s communism, and the current Republican administration are unashamedly against such ideology. 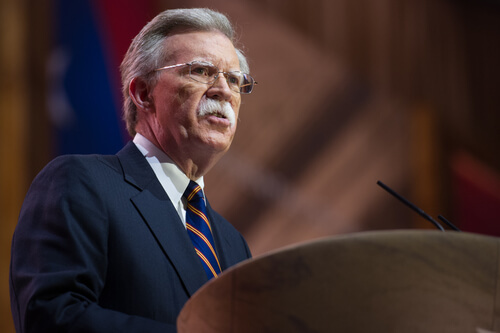 The US hasn’t been afraid to quietly intervene in countries it dislikes or distrusts before, and it would not be difficult for it to help the sizeable opposition in the country. Russia and China both currently have stakes in Venezuela’s oil industry, and the US sanctions serve as a punishment to all three nations. Following the suggestion that the US could move troops to Colombia ready to assist in Venezuela in the event of any conflict breaking out, President Maduro gave a live address on state television, accusing the Trump administration of being unfit to govern and labelling them extremists in the face of their “belittlement, disdain and aggression” towards Venezuela. The US is quite confident in its stance at present and has also issued threats to the UAE and Turkey, with Florida’s Republican senator Marco Rubio warning of sanctions against the nations for continued trade with Venezuela, and the Treasury Secretary Steve Mnuchin saying the US would target “those responsible for Venezuela’s tragic decline”. The investments from Russia’s Rosneft and the Chinese state make it no surprise that the two nations would want to preserve President Maduro’s position of power, especially when the US might supplant their trading positions in the gold and oil industries, but neither country has overtly stated their fierce support for Maduro. European leaders such as Spanish Prime Minister Sánchez, Austrian Chancellor Kurz and French President Macron have pressed for Venezuela to adhere to citizen freedoms and democratic accountability to the people, while Pope Francis – an Argentine national – offered to mediate talks between Maduro and Guaidó to avoid bloodshed.